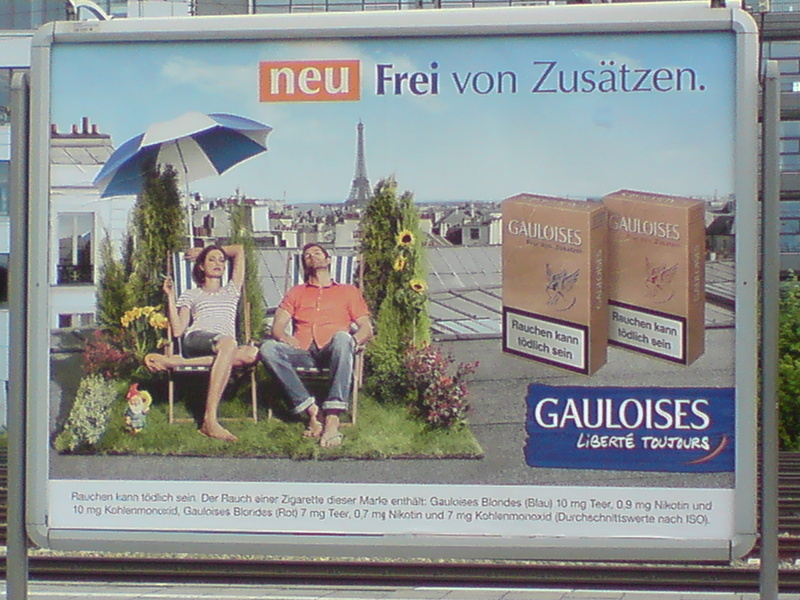 Gauloises – the iconic french brand – is copying Pall Mall and, to a lesser extent, Marlboro. Again, only one of the people in the picture is smoking, but equating smoking with some kind of idyll seems to the the theme of the moment. Equally, though without a hint of irony, cigarettes without additives, are something to be celebrated. 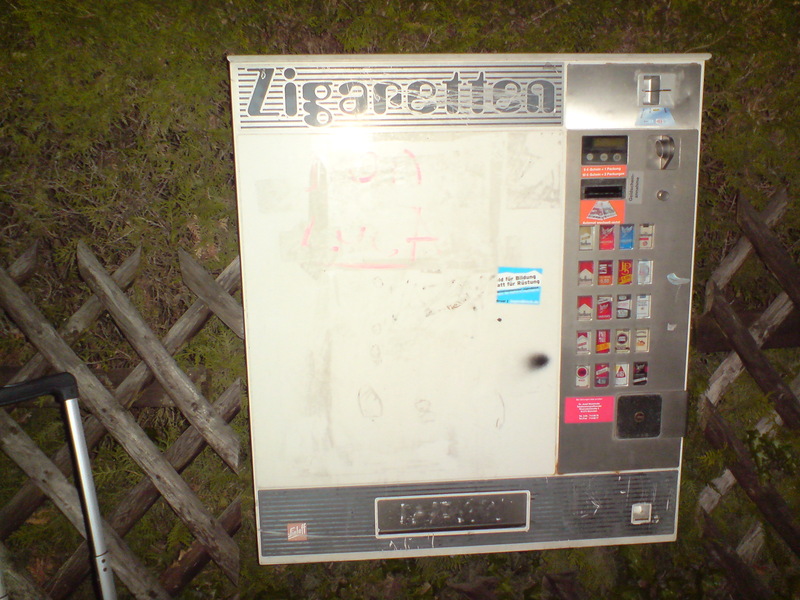 I have also taken a photograph of a cigarette machine, typical of those one encounters on street corners in Munich. They do seem a shade incongruous.